Take this as a warning: Post-graduation life is one brutal wasteland. 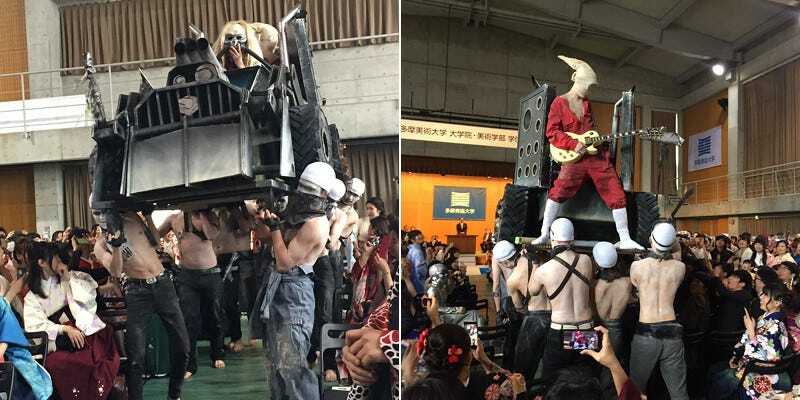 As previously reported (here, here, and uh, here), some Japanese universities, especially art schools, have cosplay-filled graduation ceremonies. But so far this spring, when students graduate in Japan, this one is the best.